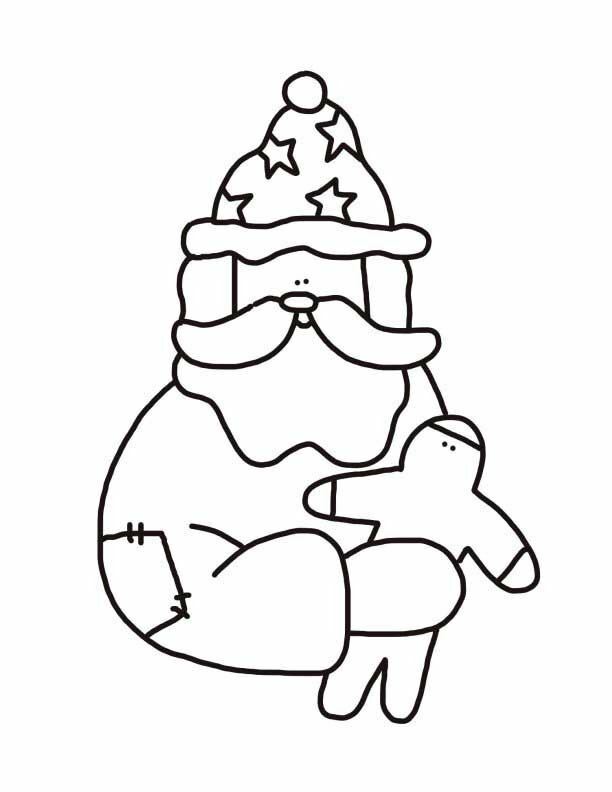 Santa Claus colouring page to print. Santa is about to eat a gingerbread man cookie. Has a patch on one sleeve. Free printable.